Company located in Lombardy (northern Italy) founded in 1962 by President Aldo Bosello, operates from years 80 in the field of NDT (nondestructive testing), and specifically in industrial radioscopy. Currently, with its staff of about 50 employees located in his two facilities of Gallarate and Cassano Magnago, in the province of Varese, is currently among the world leaders in the field.The BOSELLO HT produces radioscopic industrial plants, namely acts to control product quality through X-Ray, which find their application in various sectors: automotive, aerospace, food. The product is designed and manufactured in the offices of BHT, from mechanics to complex specific imaging software. Thanks to the efficient network of sales representatives and support, the Bosello HT is present today in almost all European countries and in non-European countries most industrialized nations. 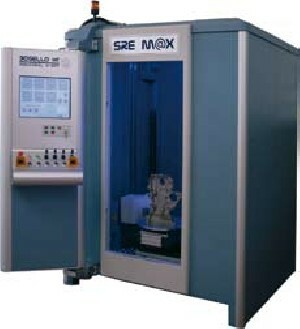 Standard equipments for x-ray inspection of light alloy castings or heavy metals castings. X-Ray equipments for special applications. Complete X-Ray system up to 450kV. Processing and archiving software for X-ray images. 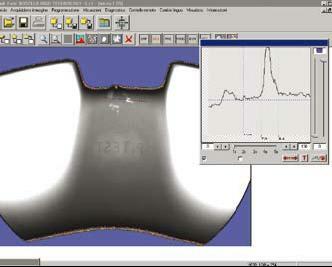 automatic identification of non-compliance of the product (defects).